T he script for Michael Coh's opening statement for Congress on Wednesday is basically the shorter, less well-written version of "Fire and Fury." CNN is naturally on fire in front of the testimony and calls Cohnes open "damaging", "anesthetic" and "shocking". Perhaps it would be these things if the public had not already heard almost all of Cohen's allegations before, or if these claims were not explicitly silly in some cases. 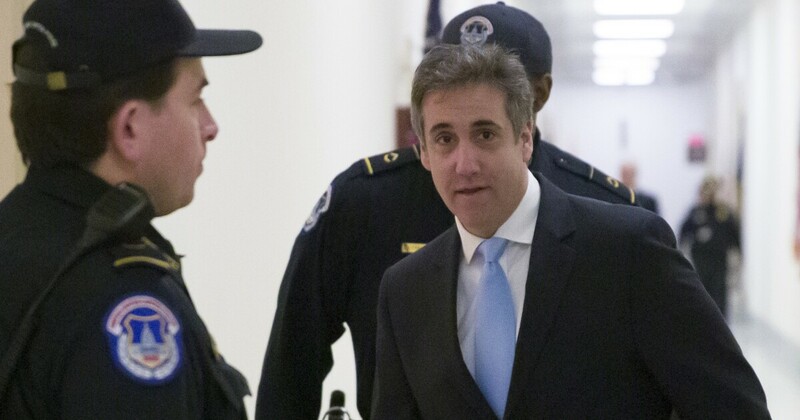 Cohen is expected to say in the beginning: "Never for a million years did I imagine when I accepted a job in 2007 to work for Donald Trump that he would once run for president, start a campaign on a platform of hatred and intolerance and actually win. " And yet later he calls Trump" a man who ran for office to make his mark good … "
Yes, of course! Marketing executives across the globe have to say right now. Let's make our brand "fantastic" by emphasizing "hate and intolerance!" 6 campaign coordinated with Russia to influence the election. But he will at least keep hope in CNN's hearts by saying he has "suspicions". He will also call Trump a "racist", a "con man" and a "cheat" who summarizes Mitt Romney's burning 2016 speech that sank the Trump campaign. No, wait a minute – I'm told it didn't work and that Trump continued to win the election. 19659002] Cohen says he was in the living room in 2016, when Trump received a call from his consultant Roger Stone, aware that he had had phone calls with WikiLeaks founder Julian Assange, and that a cache of hacked emails injured Hillary Clinton would soon be public. This claim means that F BI, House, Senate and all news media have searched for clues that Trump knew about the email hacks, and yet the first we hear about it from Cohen, who is in prison ? The simpler explanation is better: Cohen is desperate and bitter. The media is trying to polish the credibility of the tour by noting that he has "nothing to lose" by telling the truth. It is true, but people who shoot themselves after committing mass murder have nothing to lose either.